(Electronic Invoice, Electronic Bill of Lading, Recipient’s Electronic Demonstration and Electronic Manifest of Tax Documents). 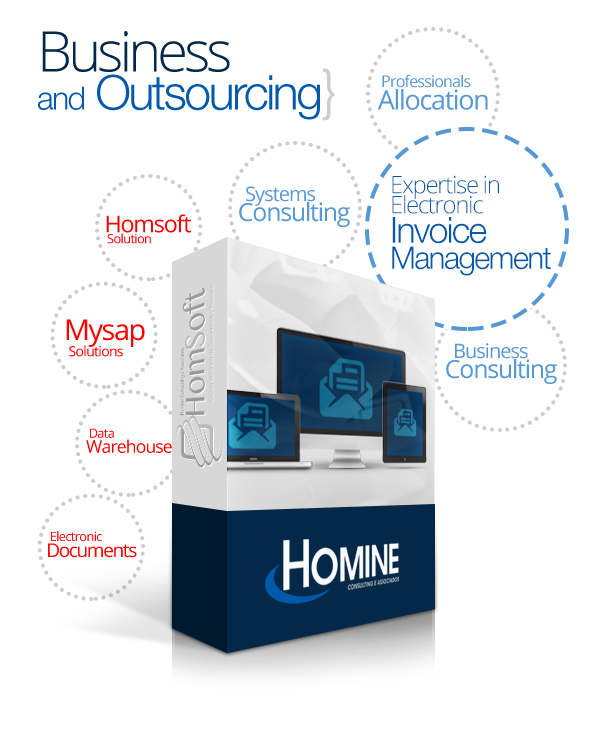 Homsoft solution consists of configurable modules. Homsoft Connector module meets all the standards set by SAP AG for the exchange of information safely. It is for sure that your data will be traded safely. Why do you need the Homsoft? Easily integrated to messaging of your receiving environment. 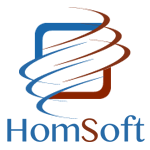 Provides total efficiency in document input of suppliers and service providers. Pre-validation process of XML data. Optimizing the input time of invoices in the company. Automatic validation processes of electronic invoice with the purchase order (PO). SAP Connector based on SAP Best Practices, using RFC Connector. Time reduction of proven physical and fiscal receipt process. Internal Team of SAP Professionals with skill in modules: MM, SD, PP, FI, CO and ABAP. BW (Business Warehouse) allows the extraction of relevant data from Company’s processes, according to criteria defined by the business itself, with important information for planning and control of business processes. In view of the initiative of the Brazilian Government for the electronic invoice (NF-e) project, Homine develops projects in the area since 2005, becoming the main company to implement the product in the market. The electronic invoice solution meets and exceeds the requirements of the Treasury Departments of all Brazilian States, generating value to internal processes. Environmental impact declines nearly ZERO. ASP (Application Service Provider): The solution is available through a proportional monthly service pursuant to the cost of tax documents issued and received during that period. All technical support, maintenance, storage and updates are no longer your concern. IN HOUSE: The solution is available in your environment, and the management and solution control, maintenance, storage and updates are up to you. 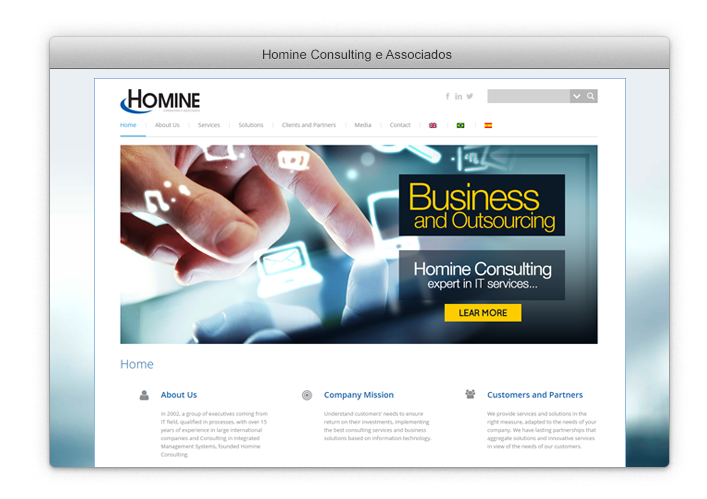 Note: for both options, Homine Team provides Solution Rollout Services.